Artists, artisans, writers and creative types of every description are drawn to the sunny northern part of New Zealand's South Island. It is a place of incredible natural beauty, unforgettable beaches and bays, wild forests and the crystal clear natural springs at Te Waikoropupu Springs. And artists. Tasman, sometimes called Nelson (in which case it incorporates the city of Nelson) is also home to many award-winning wineries, producing striking Sauvignon Blanc, Chardonnay, Riesling and Pinot Noir wines. 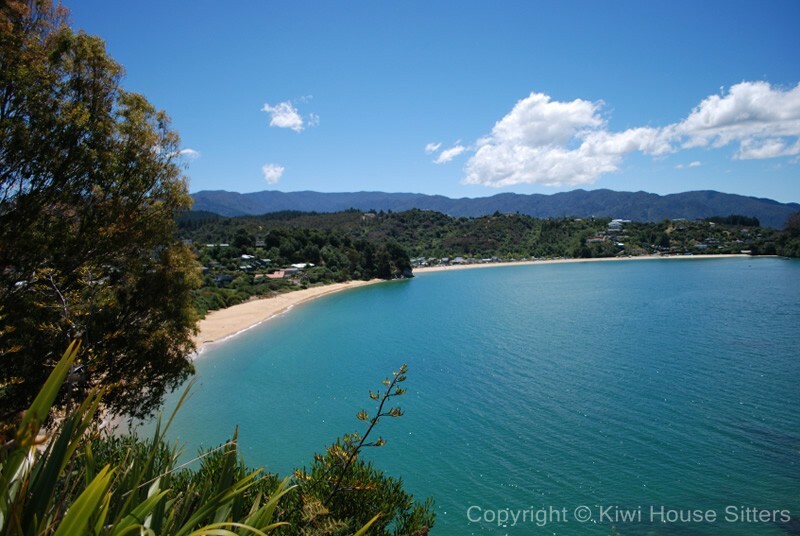 The famous Abel Tasman walking track, sea-kayaking tours along the magnificent coastline and Golden Bay are just some of the reasons you should make an effort to get a house sit in Tasman. Oh, and about the artists, no one's really sure why they all congregate here (maybe it's the other artists) but it certainly makes for great gallery crawls. Yes, there are often wonderful house sitting jobs in Tasman, and Kiwi House Sitters is the best way to find them. We have been market leaders for a long time and provide a safe and practical service with friendly support. Discover lovely pet, dog and house sitters in Tasman willing to look after your house, pets and garden FOR FREE . If you're an artist, or if you like wine, beer, Nelson Bay Scallops (or any kind of seafood), or if you like beautiful coastal walks, sea-kayaking through incredible bays, and walking through unforgettable forests, or if you like artists, or art, or wonderful food or artisan beers... look for a House sit in Tasman. You will never forget it. The Abel Tasman National Park is fairly small compared to others, but it is a mecca for holiday makers, who flock to the glorious coastal areas to walk, paddle, swim and just lie around doing nothing in one of the most beautiful places on earth. In Tasman you'll also find the Kahurangi National Park, the second largest in New Zealand. Established in 1996, the Park covers over 450,000 hectares. The name Kahurangi means ‘treasured possession’ in Maori, which perfectly suits the park’s incredible wealth of flora and fauna. The park has varied natural habitats that support different creatures and threatened species, including the Great Spotted Kiwi. Tasman is a great place to immerse yourself in Maori culture, art and history. Amongst the plethora of artists you'll find many Maoris bringing their own unique take on life, the universe and rugby union. 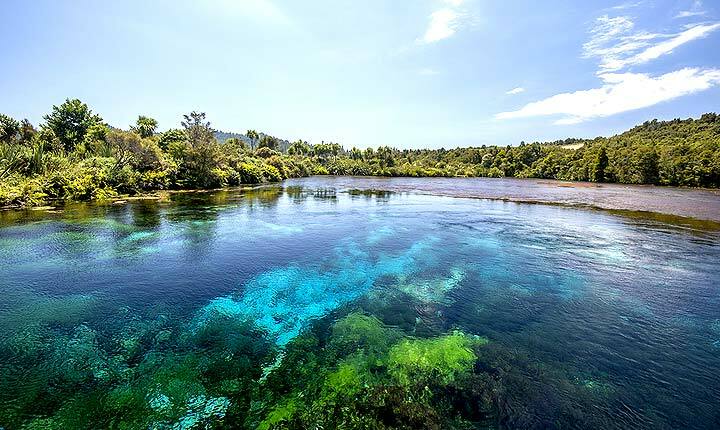 Te Waikoropupu Springs (or affectionately - Pupu springs) produces the clearest water on earth (apart from the Weddell Sea in Antarctica, which is salt-water). The clarity is startling, measured at around 63 metres. Golden Bay is just a glorious part of the world, with a large variety of breath-taking landscapes - a perfect place to leave the rest of the world behind. Which is exactly what a lot of people do in Takaka, a small town with a lot of character and a strong alternative lifestyle cohort. We've mentioned the wine, which is world-class, but there is a thriving brewing community in Tasman as well. A large proportion of New Zealand's hops is produced in the region and it is home to a large number of excellent micro breweries, offering sweet, sweet respite for the thirsty.